You know you’re heading towards an AFL final when the local council has contingency plans in place for the closing of roads after the game, in the event that “that team” should win. Tiger mania is sweeping through the streets of Melbourne – with fans banking on the fact that this will be the year that Richmond breaks a 37-year premiership drought. 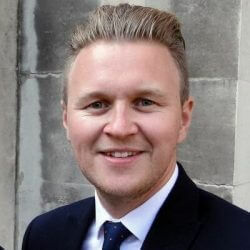 Firm favourites Adelaide Crows will be arriving in Melbourne on Thursday afternoon ahead of what has been declared a long weekend in the light of Richmond’s having made it through. Four Crows fans were reportedly brave enough to wear the squad’s colours upon their arrival in Melbourne. When asked about the level of general hospitality extended towards them, they said that they felt comfortable wondering the streets donning their merry scarves, and that no one had said anything to them. Just How Far Will Home Ground Advantage Go? Richmond midfielder Dion Prestia seems confident that a home ground advantage may be just what the doctor ordered for the Tigers as they take on the Adelaide Crows at the MCG on Saturday during the AFL grand final in a bid to put the bullet through the head of a 37-year long premiership drought. The Tigers have been enjoying multiple victories on home turf throughout the season and the expectation that the wins over Geelong and Greater Western Sydney were a good omen and a sign of better things to come isn’t entirely unfounded. In response, the Crows have pointed out that they too, have only fond memories of the MCG, having not lost a stand-off in the last five games played at the venue. It’s not as if there will be a lack of support either – with the number of Adelaide fans expected to travel to Melbourne to show their undying devotion being in excess of 30,000. Whichever way the chips fall on Saturday, it’s going to be a life-changing match for both sides. One will be celebrating having teetered on the very edge of a glory just out of reach, the other will no doubt be carried away on a cloud of euphoria after an emotionally charged day. Emotions aside, the numbers speak thusly: Adelaide is ranked in the top four as far as defence goes, with ball movement in the top two or three. The Crows are notorious for being structured, well organised and well coached. The Tigers have the momentum of wanting the win and wanting it bad. All in all, it’s going to be a telling day and you can get your bets in online at Crownbet if you want to be part of the action! 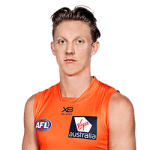 Lachie Whitfield, of Greater Western Sydney, has seen a new level of success in his career in the AFL thanks to a new position within The Giants, and the player couldn’t be more thrilled. The No. 1 draft pick of 2012 has played in 90 games so far in his …. 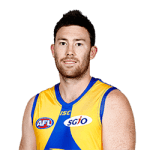 Jeremy McGovern earned a name for himself thanks to his legendary save at the end of the Port Adelaide vs West Coast game that almost saw the Eagles heading home empty-handed. McGovern managed a match-winning kick that he sent off after the Siren had gone off, and earned a huge …. AFL 2017 – Hawks Plagued By Injuries Camp Hawks has been plagued by injuries – mainly knee injuries – all year long, and this has yet to let up. Both Ben Stratten and Grant Birchall have been ruled out of Saturday’s game as a result of injuries – and what’s ….